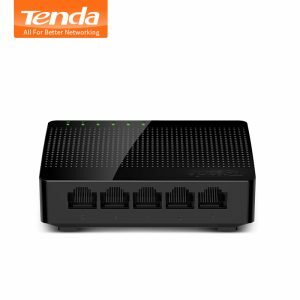 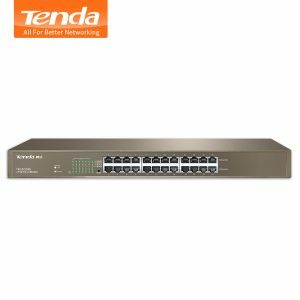 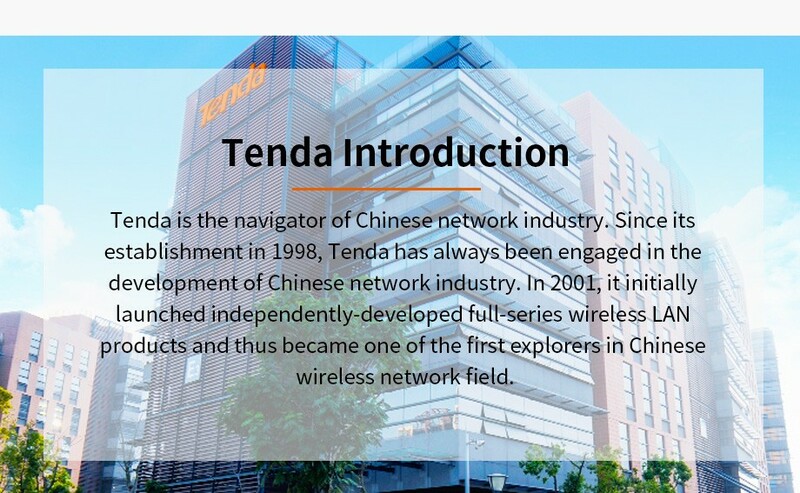 Buy Tenda TEF1109P 9-Port 10/100Mbps Fast Ethernet Network Switch, 1.8Gbps, 802.3af/at 150M 40W PoE Power, 4KV Lightning Protection - In Stock Ships Today! 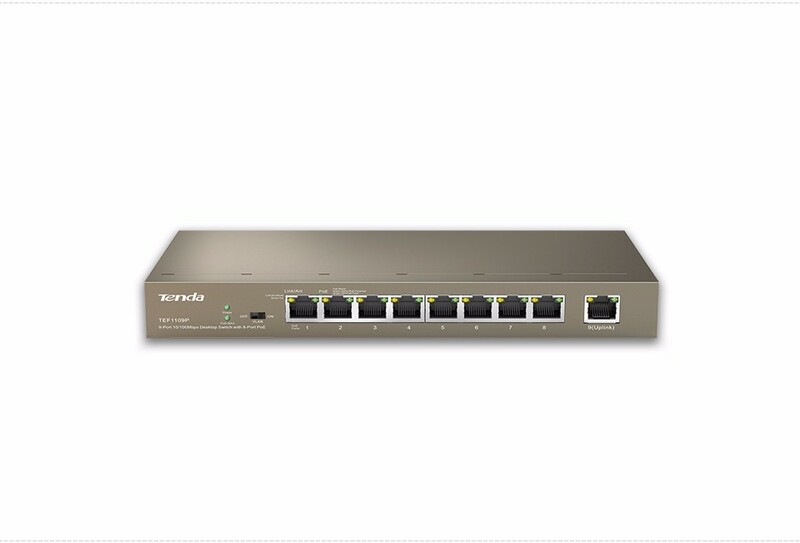 Purchase this product now and earn 401 Points! 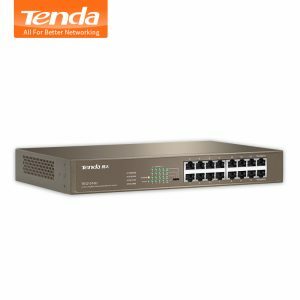 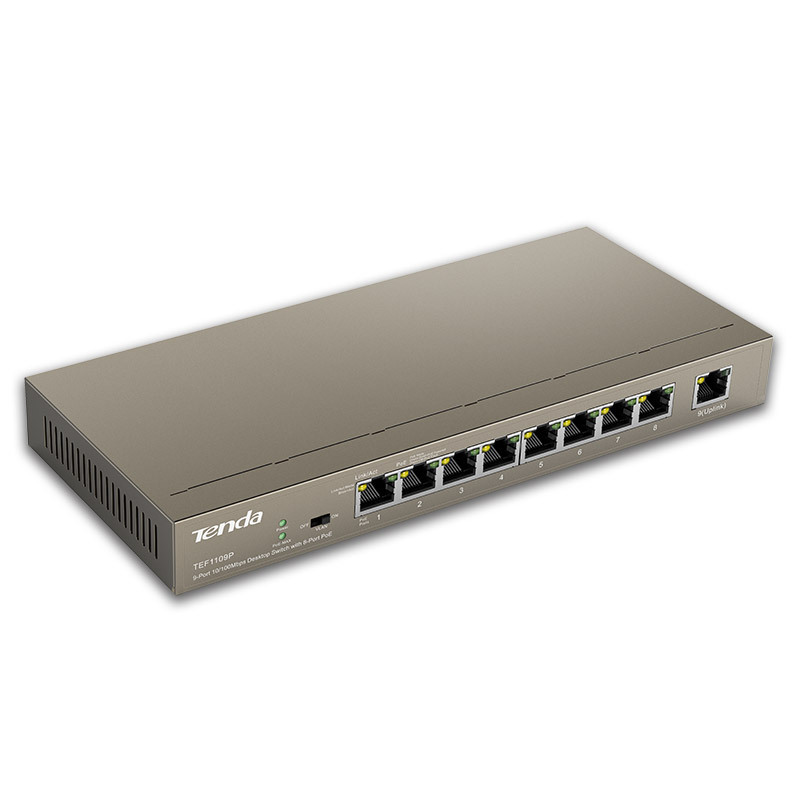 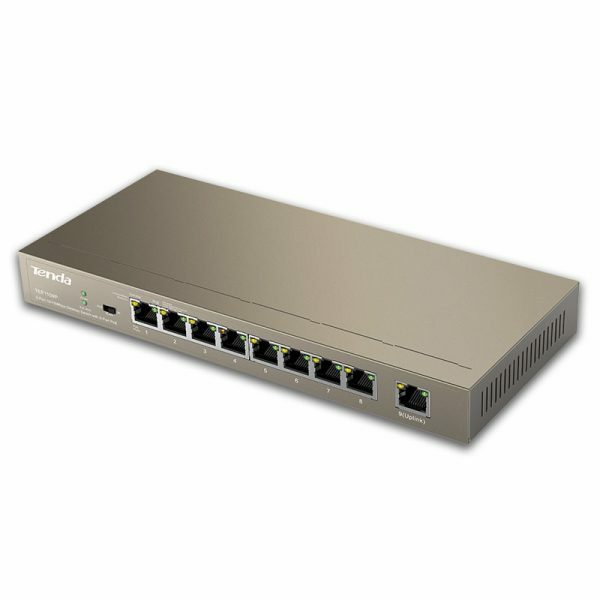 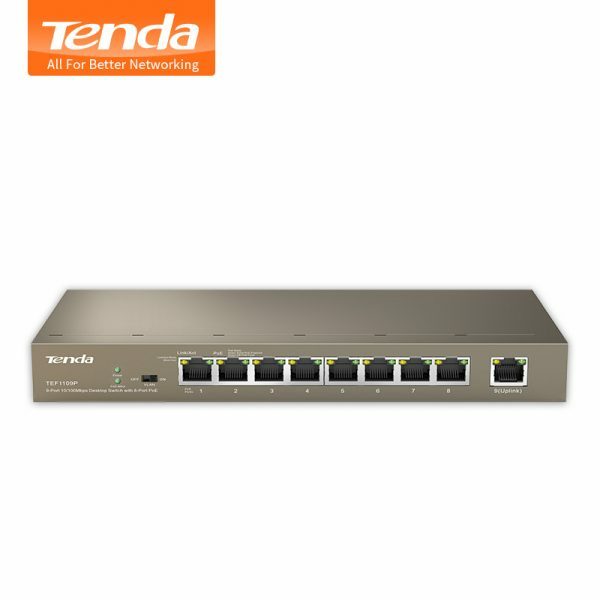 TEF1109P,9-Port 100M Unmanaged Tenda Switch with 8 PoE ports , is specialized on wireless and monitoring networks. 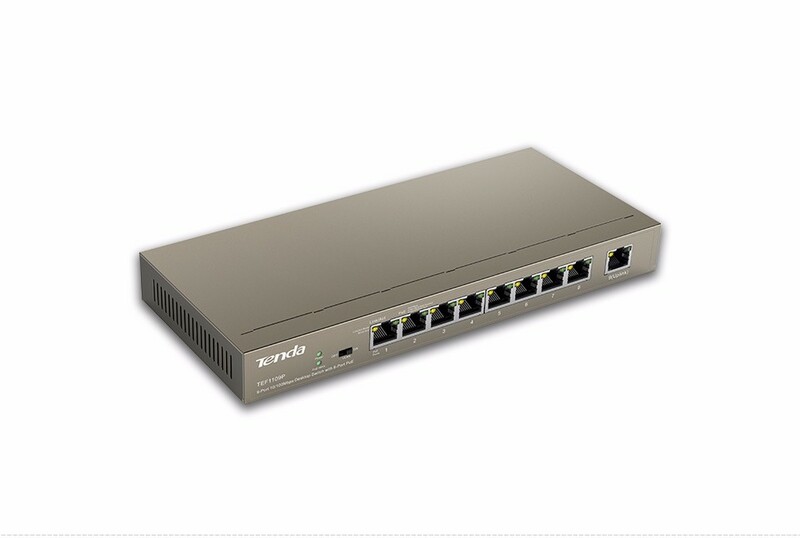 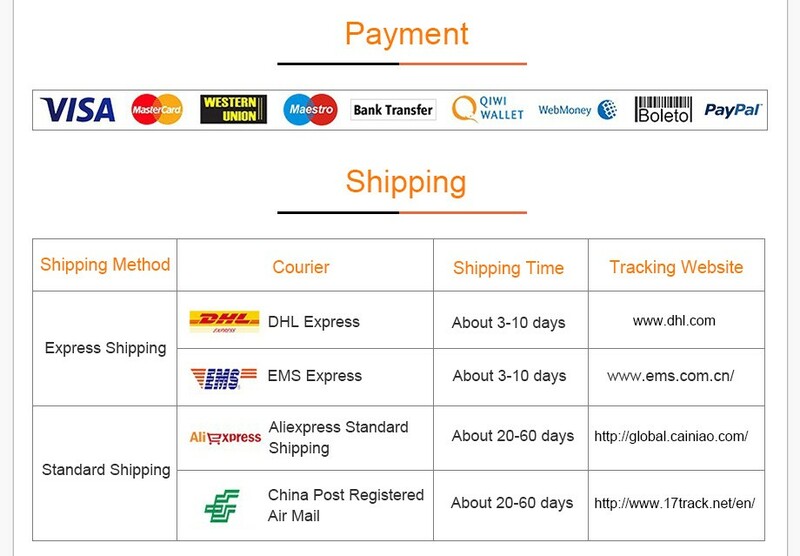 It adopts professional PoE swtich solution, provides 9 10/100M auto-negotiated RJ45 ports. 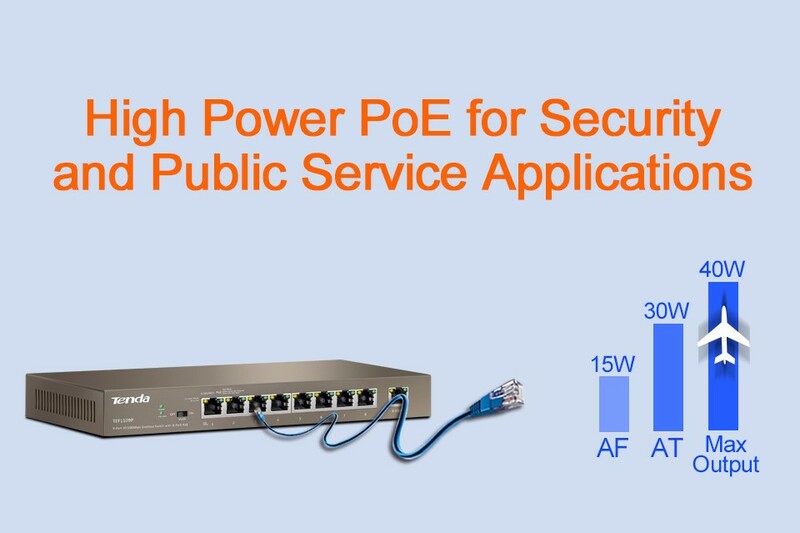 Ports 1~8 support IEEE802.3af/IEEE802.3at PoE power supply, and can automatically detect and identify the IEEE802.3af/IEEE802.3at-based powered devices, and can suppply PoE power for them via Ethernet cables. The uplink port is equipped with professional lightning protection circuit, which is 4KV lightning-proof. 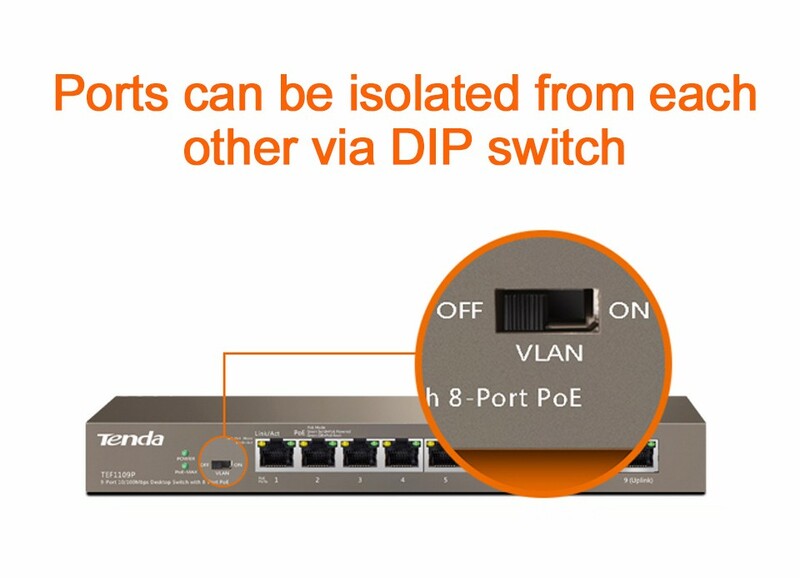 One-key VLAN devision feature can help restraint broadcast storm and defense DHCP spoofing. 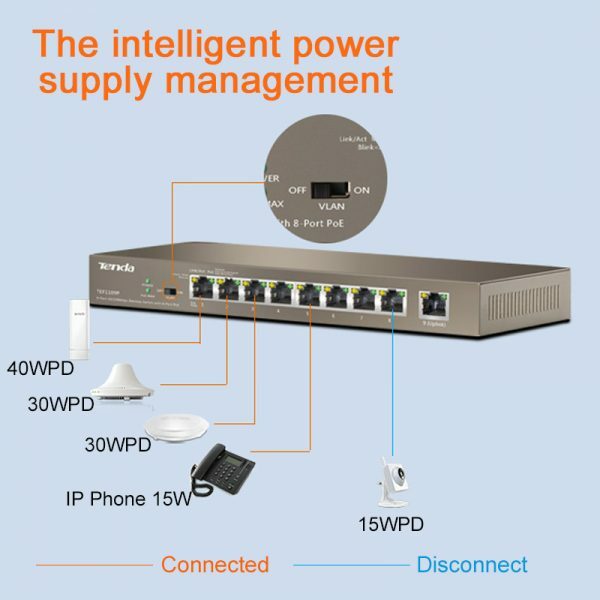 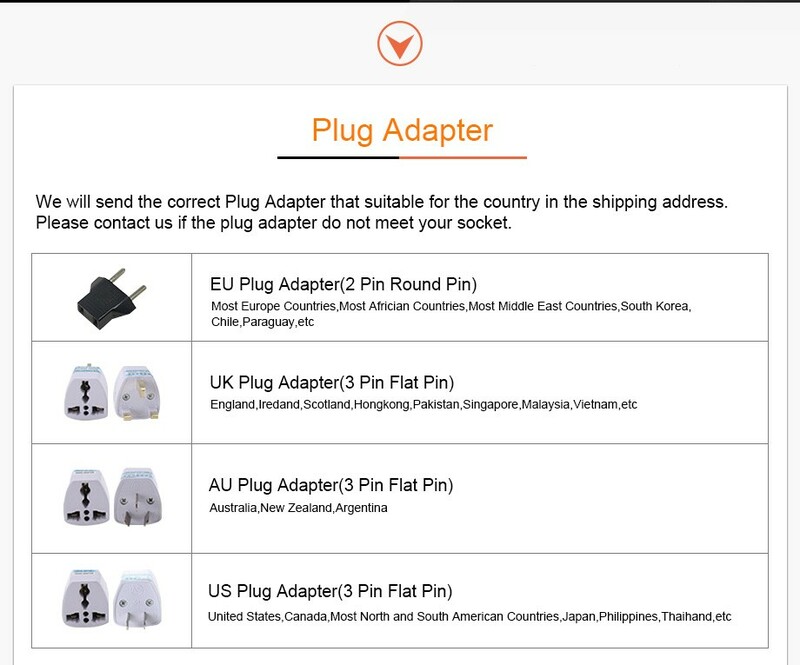 UPNP and zero configuration save you a lots using troubles; moreover, PoE supply makes power cabling more easily and flexibly. 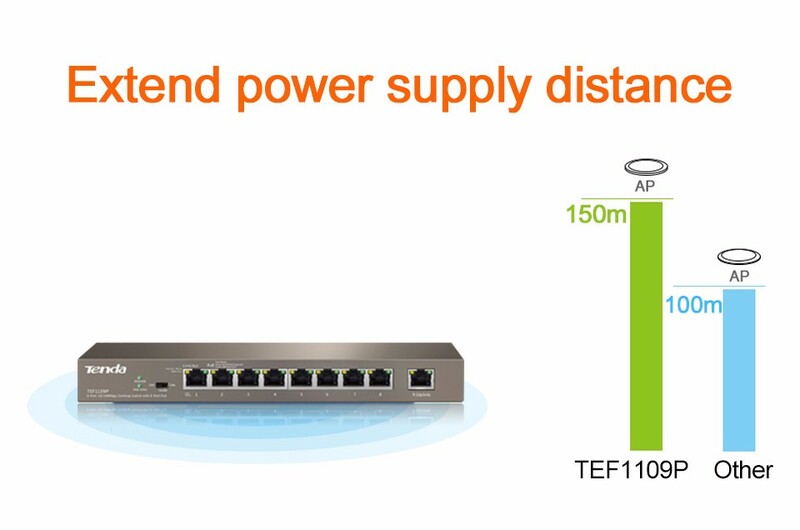 1.8Gbps backbound bandwidth, 1.34Mpps packets forwarding speed, Supports nonblocking wire speed Switching. 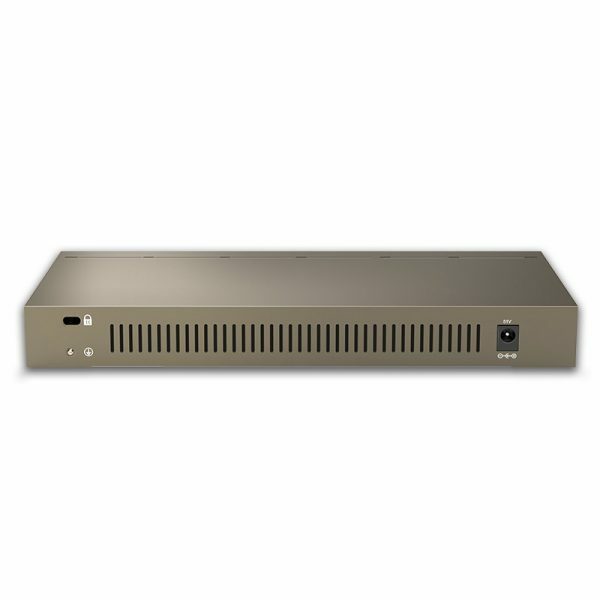 Supports uplink port ligthning-proof, Ports 1~8 are PoE-capable, Output power of a single port is up to 40W. 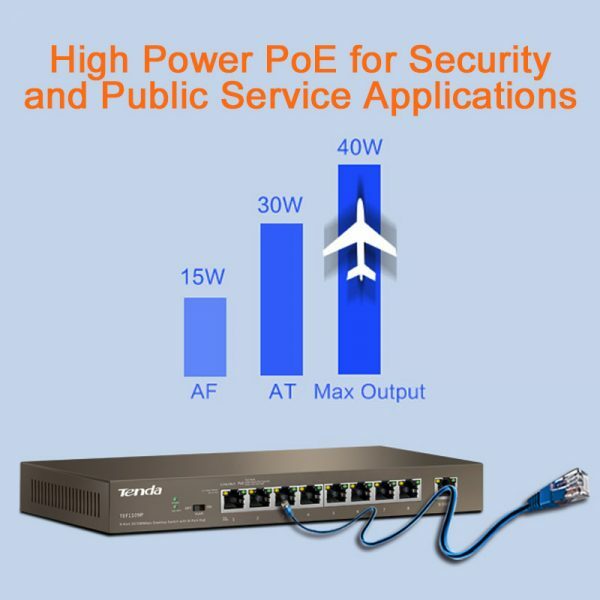 1~8 10/100 Mpbs Port supports IEEE802.3af/at PoE power supply, Maximum Output Power of Single PoE Port Up to 40W , and can automatically detect and identify the IEEE802.3af/at based powered devices. 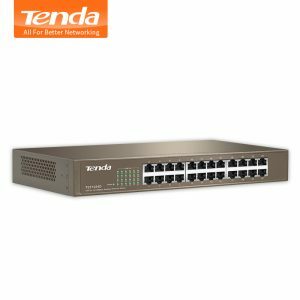 Vlan can prevent the broadcast storm, speed up the frame of the forward rate, improve the transmission performance of the network. 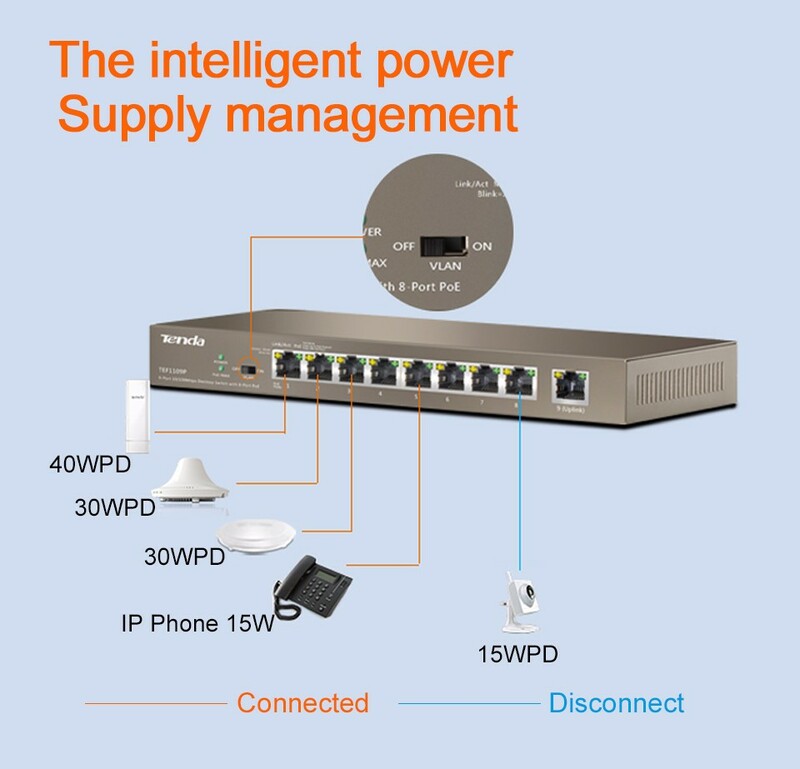 The device can auto-detect power consumption of PD device and match proper output power, The Idle Mode Link Down power saving of the TEF1109P complies with Energy Efficient Ethernet standard to automatically lower power for a given port when it is not linked. 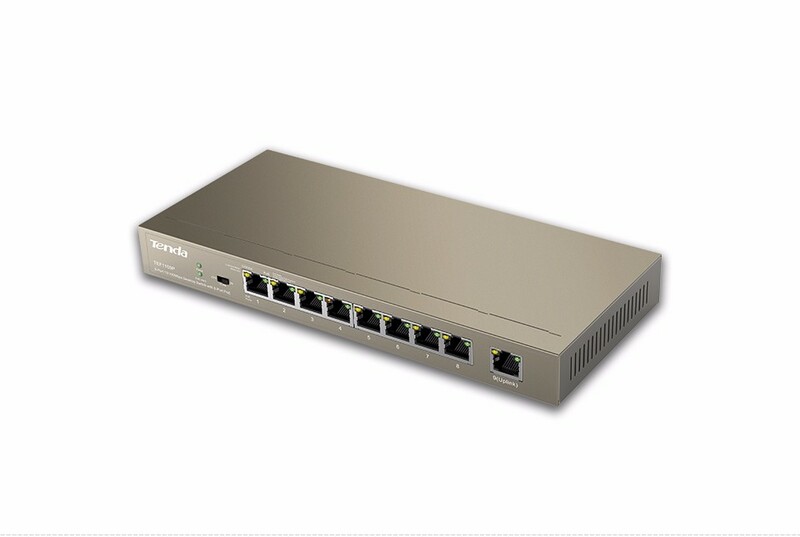 Adopts Cat-5e, power and transmission distance up to 150 meters. 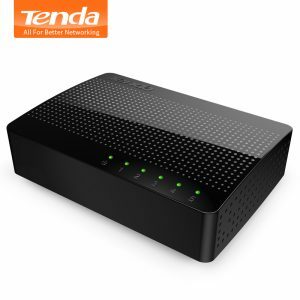 The device not only improves the quality of data delivery, but also expands coverage range of small network. 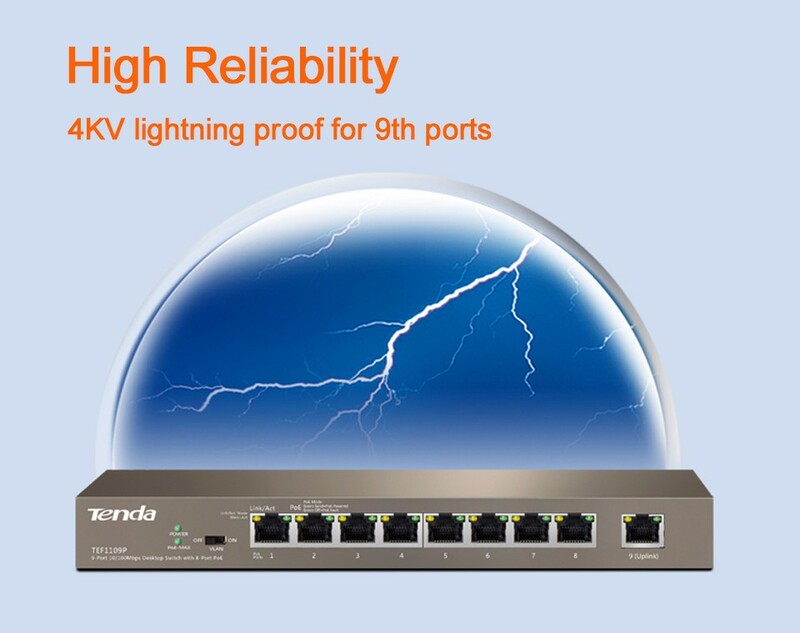 Integrates with professional lightning protection circuit and 2-level lightning-proof for uplink port (4KV lightning proof for 9th ports). 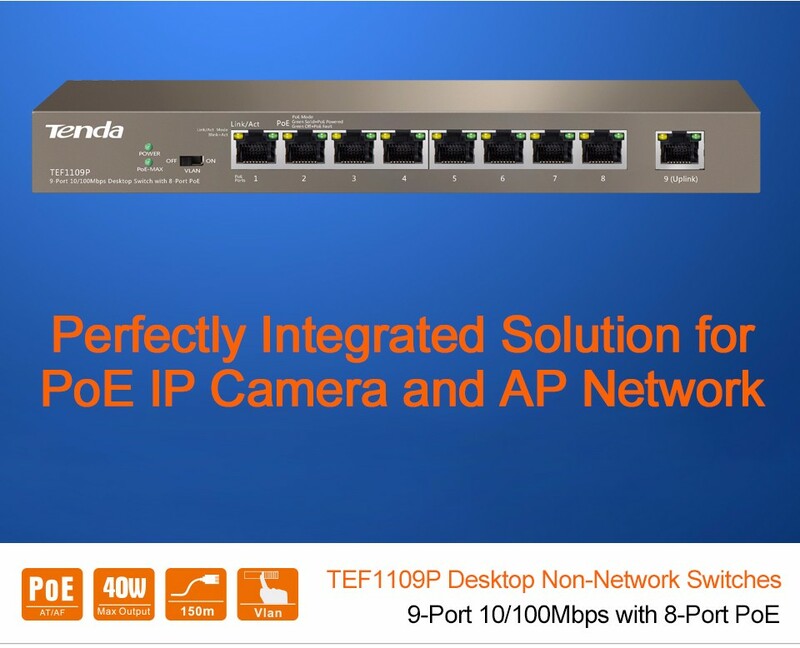 Stronger ethernet technology to improve your network performance. 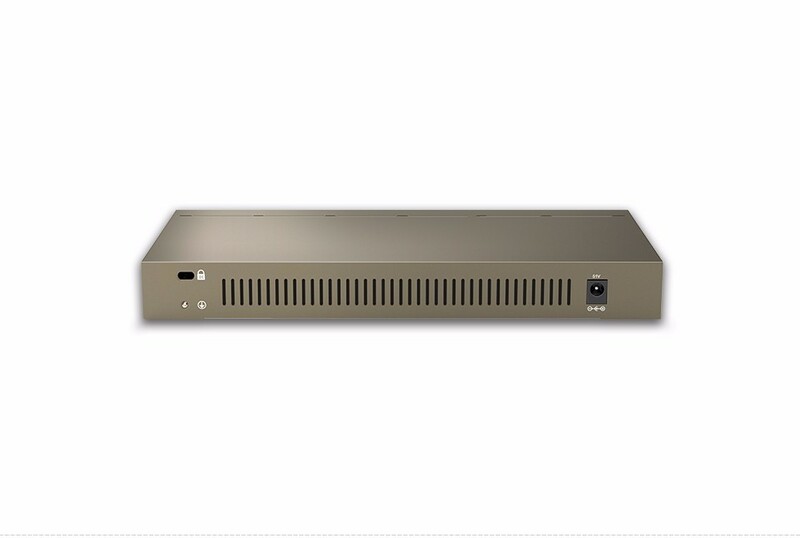 Supports 802.3af (15.4W) PoE power supply or 802.3at (30W) full-load PoE power supply of up to 40W with 1, 2, 3, and 6 PoE power supplies.